The EcoTEC Plus 832 is a combi gas boiler with an output of 32kW (also available in 25kw, 35kW and 38kW). It is an B rated boiler and has an efficiency rating of 89.3%. The boilers dimensions are 440x720x338mm making it a compact model. It has a stainless steel heat exchanger with large surfaces to maximize the heat transfer and a single electronic circuit board for simple commissioning. This boiler has many things to make it a reliable and efficient boiler. It has built-in two stage frost protection to help you keep your boiler protected from any weather thrown your way. This boiler has the ability to deliver hot water within five seconds. With this boiler you can have the comfort of knowing that if the boiler combustion has a fault that the boiler will revert to its last known operating condition, providing a degree of heat and hot water until you are able to get the issue fixed. 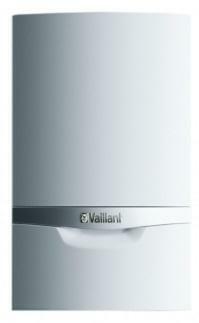 This boiler is good for homes with 3-4 bedrooms and with 1 or 2 bathrooms. It comes with 5 years warranty, and 7 years warranty when you register it with an advanced installer. Also, when you register it with an advanced installer you have the option to purchase extended warranty of up to 10 years.